Highly functional yet easy to maintain, our chain link fly screens are modern and stylish, and look great in every room of the house. 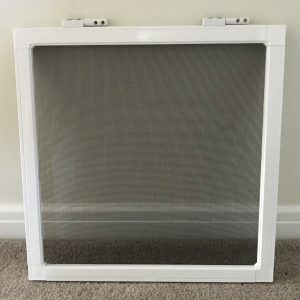 The metal chain fly screens are simple to clean and the perfect choice for anyone seeking to keep flies and other winged insects out of the kitchen or living room on the hottest of days of the year whilst letting a cool breeze to circulate freely. 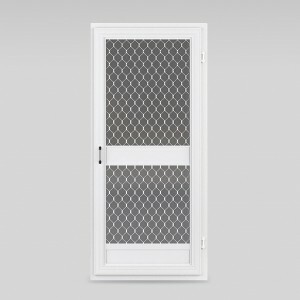 In addition to providing chain door fly screens for smaller doorways, we also offer larger aluminium insect screens for bigger entrances. 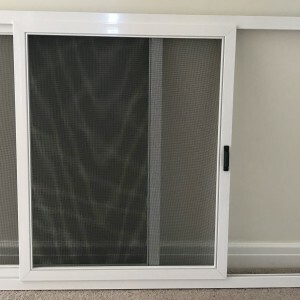 Our aluminium chain fly screens are supplied made to measure and also available in self-assembly DIY kits suitable for conservatory, patio, or any doorway that you need to screen. 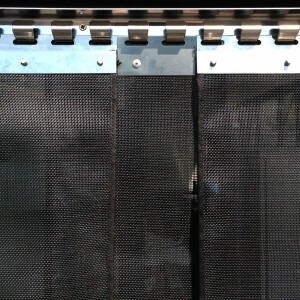 We also manufacture the chain fly screens for use as room dividers and large scale displays. 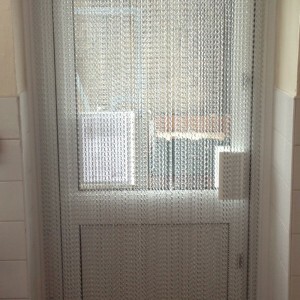 Once fitted, our durable fly chain screen systems will allow easy access through any public doorway or corridor whilst additionally blocking out airborne debris such as leaves. 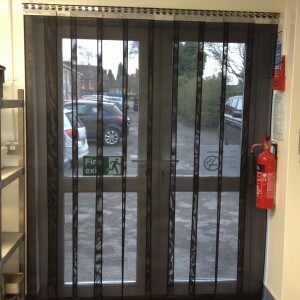 Our commercial fly screen doors are ultra durable specifically designed for high traffic use in commercial kitchens and other commercial premises where ventilation is needed but the risk of flying insects entering cannot be tolerated. 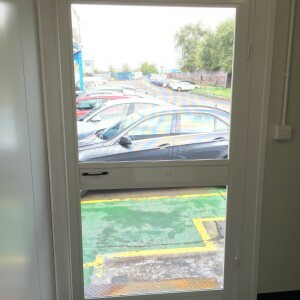 The fly screen door will come ready assembled to your bespoke dimensions and is a universal fitting, you simply screw the metal hinges on the required side and then fix to your existing door frame or sub frame. 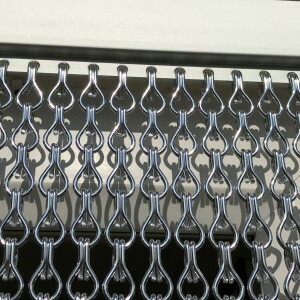 Italian styled, elegant cassette roller fly screens. 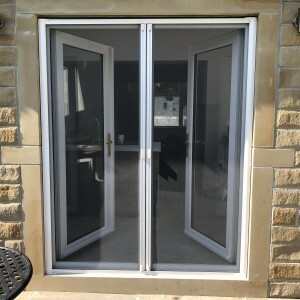 They are suitable for almost any door opening whether it be sliding, hinged, single, double or conservatory french doors. 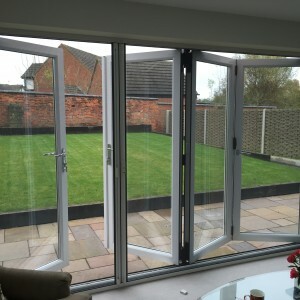 The frames are manufactured from aluminium, finished in white, and can be installed inside or out as they are totally rust free. 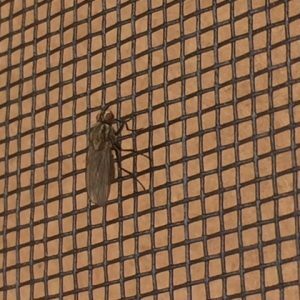 Retractable insect mesh disappears out of sight when not in use, just enter your overall dimensions into the calculator for an instant price. The cassette will be cut and pre-built to your dimensions along with the guides which easily slot onto the cassette. Please note that if the overall width is greater than 2900mm then the guides will be in 2 sections. Just select your colour and length required, if ordering more than 1 metre it will come in a continuous length. The mesh is 1.8 metres wide and is weaved from pvc coated fibreglass giving a 18 x 16 gauge which will keep out the smallest of flies. 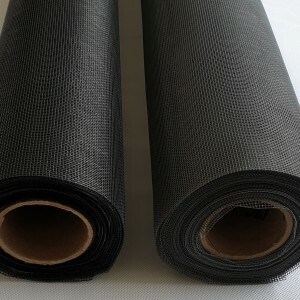 It is available in Black and the material is the industry standard very flexible and rot proof, manufactured to ISO 1421. If ordering more than 1 metre it will come in a continuous length. 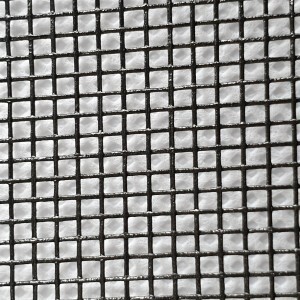 Mosquito fly mesh, 1.2 metres wide on a full 30 metre roll. 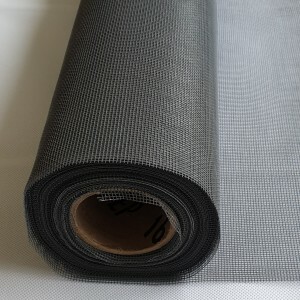 Our fly mesh is weaved from pvc coated fibreglass giving a 18 x 16 gauge which will keep out the smallest of flies. 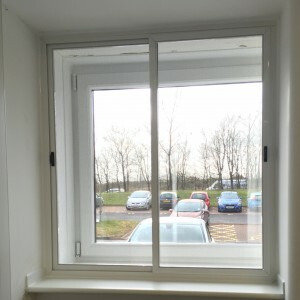 It is available in four colours and the material is the industry standard very flexible and rot proof, manufactured to ISO 1421 and approved by the Food Standards Agency for use in commercial premises. Mosquito fly mesh 1.8 metres wide on a full roll 30 metres long. 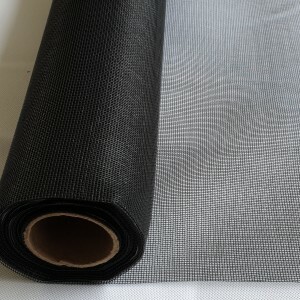 Our fly mesh is weaved from pvc coated fibreglass giving a 18 x 16 gauge which will keep out the smallest of flies. 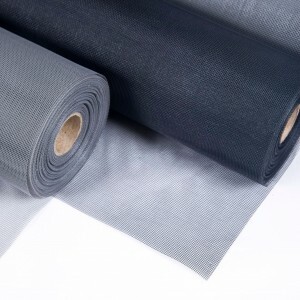 It is available in Black and the material is the industry standard very flexible and rot proof, manufactured to ISO 1421 and complies with the Food Standard Agency for use in commercial premises. 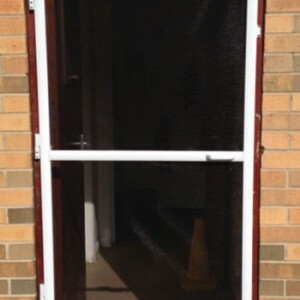 Heavy duty version of the popular hinged fly screen door. 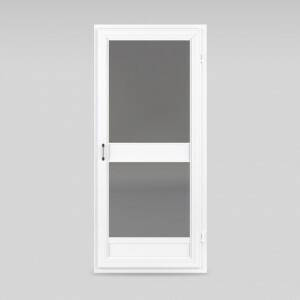 The kit components are exactly the same as the hinged door but the aluminium profiles are 40mm x 25mm giving it extra strength for use in doorways where there is likely to be heavy traffic, eg restaurant kitchens. 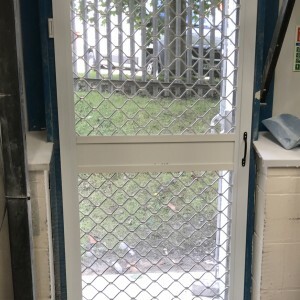 Mid bars and a kick plate are supplied as standard, the kick plate isn’t shown on the product image.The kit will fit doors up to 1000mm wide and 2200mm high and is easily cut down to smaller sizes and is available in white or brown with a choice of coloured meshes, grey as standard. 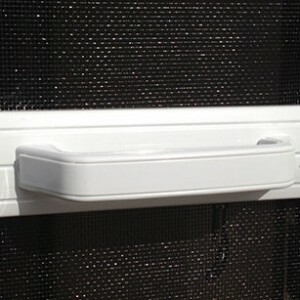 You will receive all the components necessary to assemble and hang the fly screen door. Premier Screens have the most elegant and cost effective sliding fly screen products in the UK. Our superior quality sliding fly screens have the slimmest frames available and have been designed for quick and easy installation into the window reveal which helps save valuable window sill space whilst reducing the amount of dust and debris which would normally accumulate in standard runners. 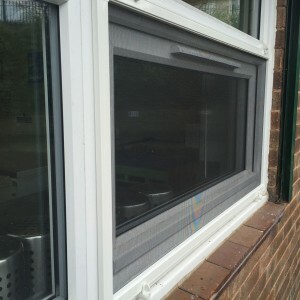 Simple to maintain and supplied in either DIY kit form, pre cut, or professionally fitted, our sliding fly screens are suitable for both residential and commercial kitchens – in fact any room of your home or business which you want to keep free of flying insects and even spiders.